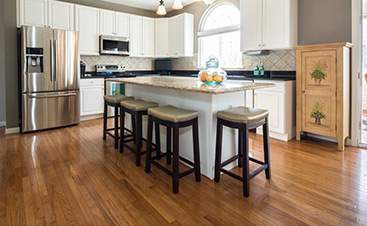 Hardwood is one of the most preferred flooring options in New Jersey. It is durable and easy to clean, but there are times when you will have minor issues with your floor, such as wearing off of the top coating, that would require immediate repair. Having a pet dog at home, for instance, can cause regular scratches on your wooden floor that would need immediate fixing. To prevent these minor problems and to keep your floor looking brand new, it is important to address any issues right when they crop up. Most minor scratches on your hardwood floor can be cleared off if you follow a few maintenance tips, as discussed below. Sanding: For small abrasions, use a sandpaper or steel wool in a circular motion to seamlessly sand your wooden floor. This is a temporary fix, as sanding too much can cause the floor to become weak. A good indicator of excessive sanding is exposed nails and staples on the floor. For deeper scratches, there are two types of sanding that you can opt for—drum sanders and orbital sanders. The main difference between the two sanders is the rate at which they get the work done. Drum sanders are more professional-oriented. 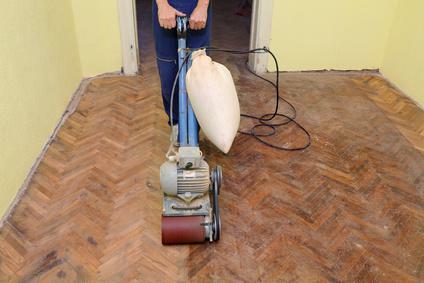 They can provide very aggressive sanding action for your floor. An orbital sander, on the other hand, provides light refinishing for your floor after which you can coat a fresh layer of varnish. 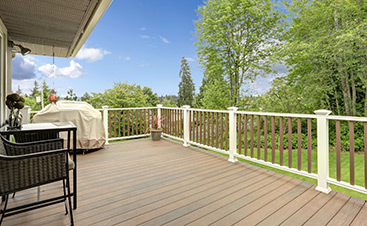 Staining: You can camouflage minor scratches on your hardwood floor using staining methods. However, when you choose a stain, you must always remember to not go for a very dark shade. This is because some stains may be absorbed more readily by your floor than others. For small scratches, you can get a stain marker that is closest to your wood color from your nearby hardware store and dab it on your floor. If you’re still not able to hide the stains, you can try repeating the process using a paint brush or a cotton bud. 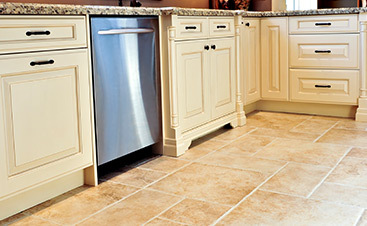 Remember, the above tips are only for minor flooring problems that you can fix at home. If you notice that your floor is excessively damaged or has deep cavities, do not delay in contacting a professional who can help you. You can easily repair floor scratches and other issues by fixing an appointment today with New Jersey’s hardwood flooring specialists.